It is only a few months since I wrote the blog post about our goals for 2016. It feels like it was hundred years ago. The goals for 2016 right now is to get Batman pain-free. We had another setback today; he is now lame on the right hind leg. Before the treatment, it was the left. Before that, it was the hooves. You know the feeling when you think you cannot handle it anymore, and then you fall off the edge over and over again, and when you almost climbed all the way back up, you fall again? I fell again yesterday. I’m stronger than I knew, I guess. I’m exhausted. We have no 100% clear answers, only guessing’s. 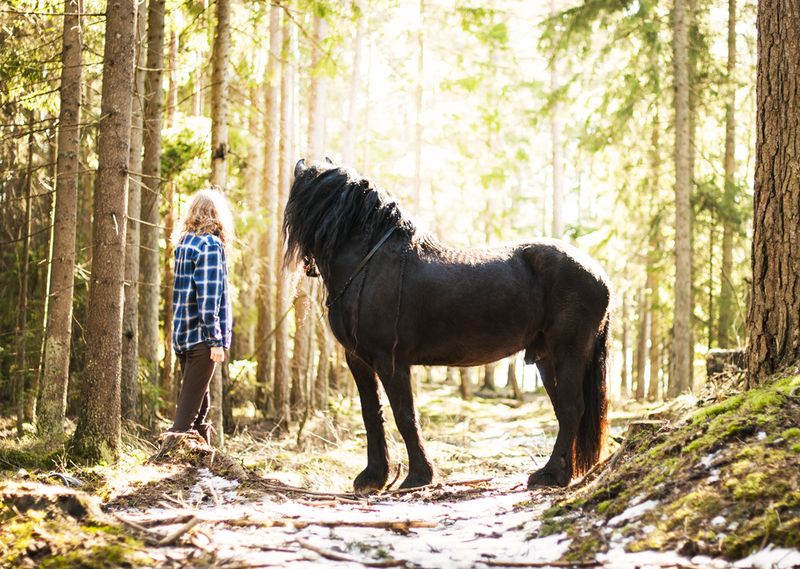 I have like three of the best veterinarians I know doing their very best to get to the bottom of this mystery right now, plus one of the best hoof trimmers in Norway and a very good insurance covering it all, so my situation is not even that bad. I’m clinging to the hope that the lameness is caused of the pain he had in the front hooves, and that it is nothing serious, only him compensating and it will pass and he will be 100% fine again so our life can continue as normal. But I can’t keep myself from thinking about the worst case scenario. The worst thing ever is do not know what it is that is wrong with him. I feel so helpless! We will drive him to a clinic in the end of the month, and do a full examination plus x-ray of everything. Hopefully I will get more answers then. On the other hand, Batman is like happier than he has ever been and is in a great mood. Today I spent a long time brushing him and he fell asleep in the sun, enjoying his massage. Tomorrow my friends will bring him to get chiropractic treatment, which helps his body a lot along the way. If he had been suffering for real, he would never seem this happy. So that makes me relax a little, thankfully. When will we run side by side again? I whish I knew. Sorry to hear about Batman’s continuing lameness. He looks so strong, it’s hard to believe. I guess Friesians are not so tough? Hi Matilde. I am from Germany and live in Hawaii with my three horses. We have wet weather at times where I live and the hoofs get soft and suffer. My Arabian trick horse Skeeter had hoof issues like flaring and then a big abscess. She was limping badly The sole started coming off near the lamina and created a big hole. I put them on biotin plus by paragon performance. I order from valley vet in the U S. I use the starter strength and kept them on it. Their hoofs are so much better and firmer and there is no bending or flaring at the end anymore. I also learned how to trim my own hoofs so I can trim them more often. After a few month I could see my Arabian does better with a higher heel so her hoof is at about 50 degrees in angle. She has solid feet again but it took almost a year. I don’t know if this plays a role but wanted to pass on the information just in case it has something to do with the hoofs. I hope Batman gets better soon he looks like such a sweet horse. Hej. Min häst var halt till och från i flera år. Hon hade kotledsinflammationer som behandlades på flera olika sätt, men tillslut så hjälpte inte det och veterinären sa att det fanns inget mer dom kunde göra. Jag tog kontakt med en massör och osteopat och med deras hjälp hittade dom problemet som satt i bogarna. Nu 2 år senare med behandlingar, ändrad foderstat och akademisk ridkonst som träning är hon finare än någonsin och hon kan nu börja ridas. Jag vet inte om min historia kan hjälpa dig men kanske? Jag önskar er all lycka till att ni ska hitta problemet och få Batman frisk!